The first one is Wet n Wild Fergie – Gold Album. This is just the prettiest, sparkliest gold polish. I love it more every time I use it! 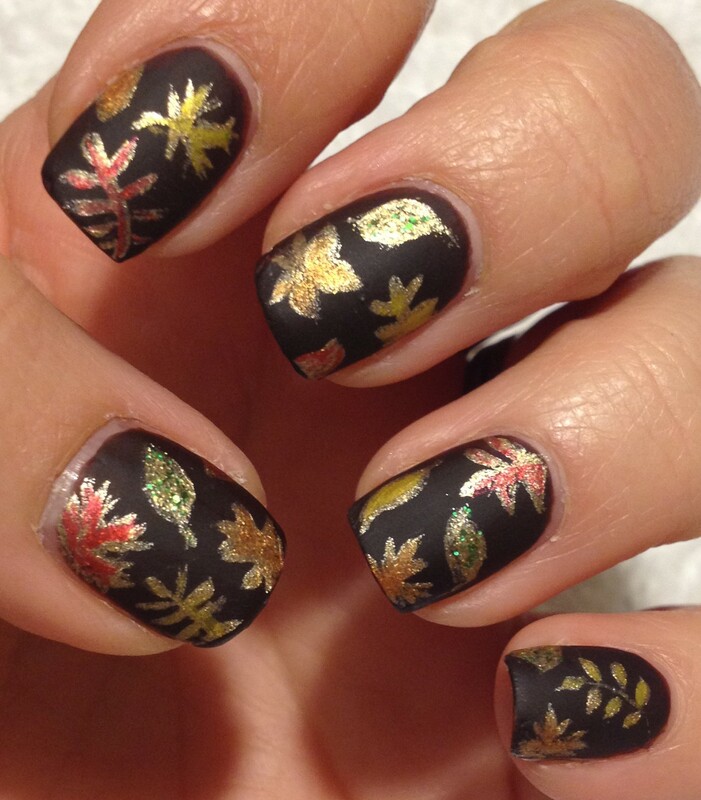 Here I used it for the leaves in this my Golden Leafy Nails. The polish I’m holding is one of my favorites for November also. 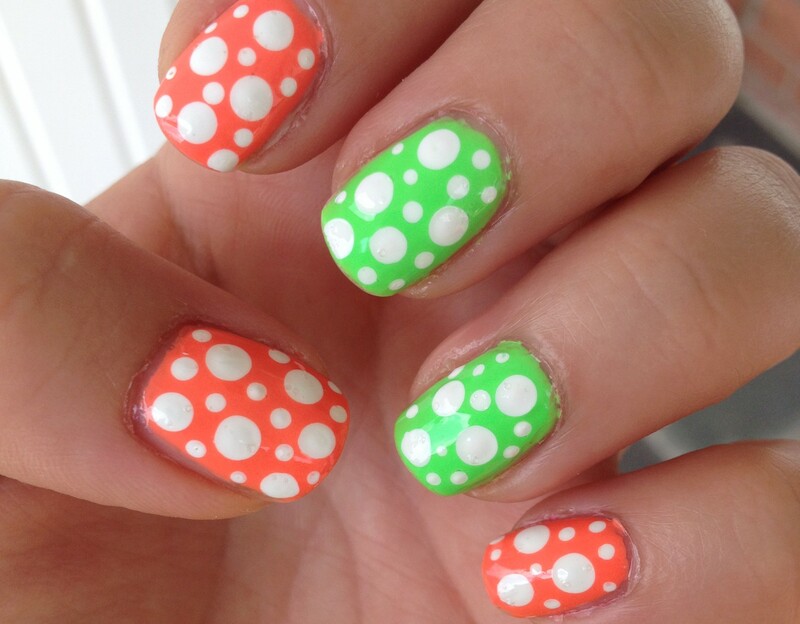 It’s Spoiled – Vitamin C. These polishes are available exclusively at CVS for $1.99. Vitamin C is pretty sheer on its own. It takes about 4 coats to be opaque. It’s almost an orange jelly base with tons of orangey-gold shimmer. I’ve layered it over orange polish in the past, but this is the first time I’ve ever tried to layer it over a darker polish. I was actually really surprised with the results! I fully expected it to add a bright orange shimmer to my nails, but it it really more of a golden – almost greenish – shimmer. I always love to discover that polish I have owned for a while can be worn some new and different way. This is NYC – Precious Peacock. 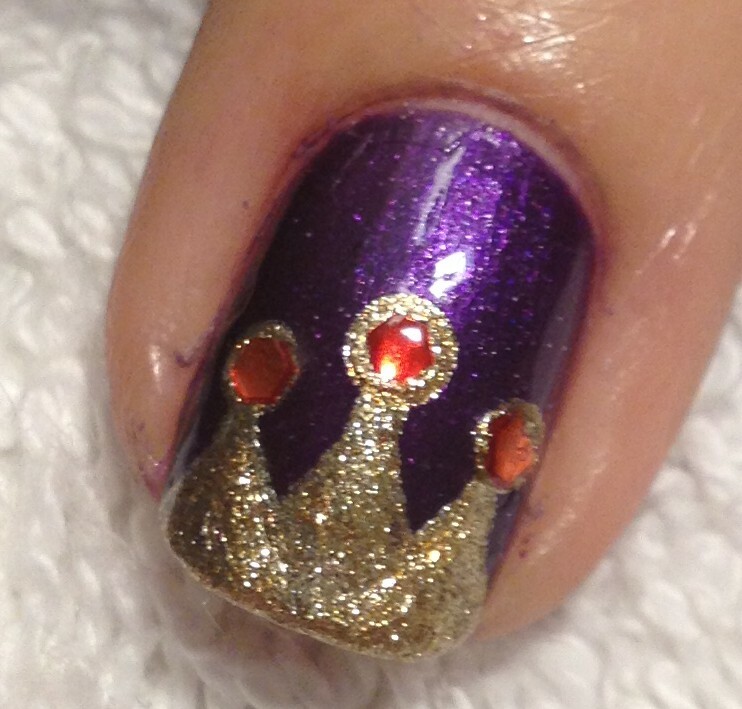 This was really sheer and took 4 coats to be opaque, but the results were totally worth it! Such a beautiful shimmery teal polish! 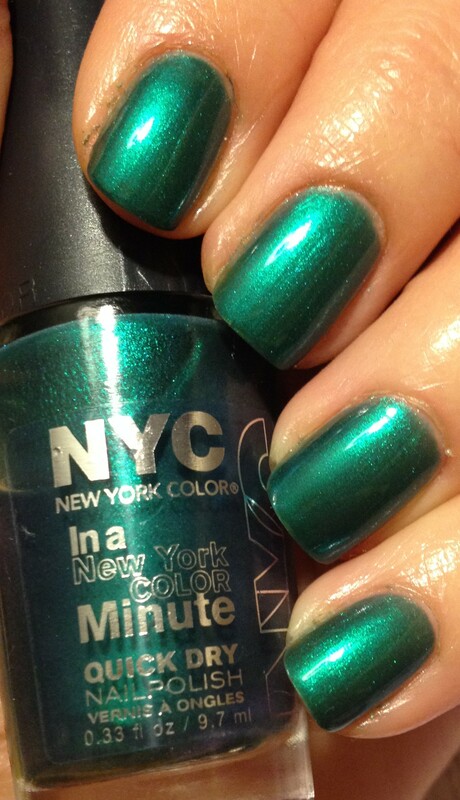 Most of the time this polish looked teal on my nails, but there were times when I felt like it was an emerald green. Such a perfect color for this time of year! This is Fresh Paint – Let the Games Begin. In this picture it looks almost navy, but in real life it’s not quite that dark. It’s just a really beautiful creamy blue, and it’s opaque in one coat! I don’t know how much I’ll be wearing this color this month, since I plan to hit the red and green Christmas colors pretty hard, but I’m sure I’ll wear this a bunch in January and February. 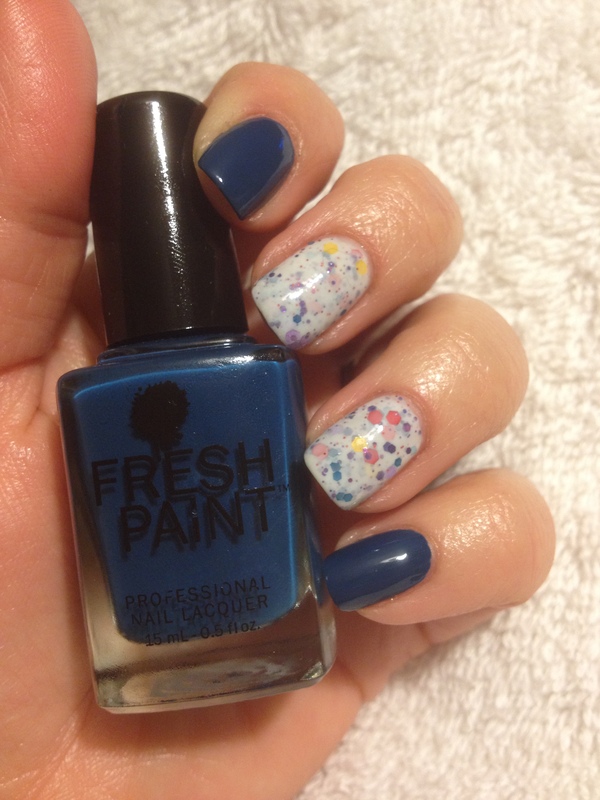 By the way, the white crelly polish with the colored matte glitter is Funky Fingers – Jawbreaker. The formula is just a little too thick and gloppy for me to call it a favorite. The base for this mani is Fresh Paint – Firefly. 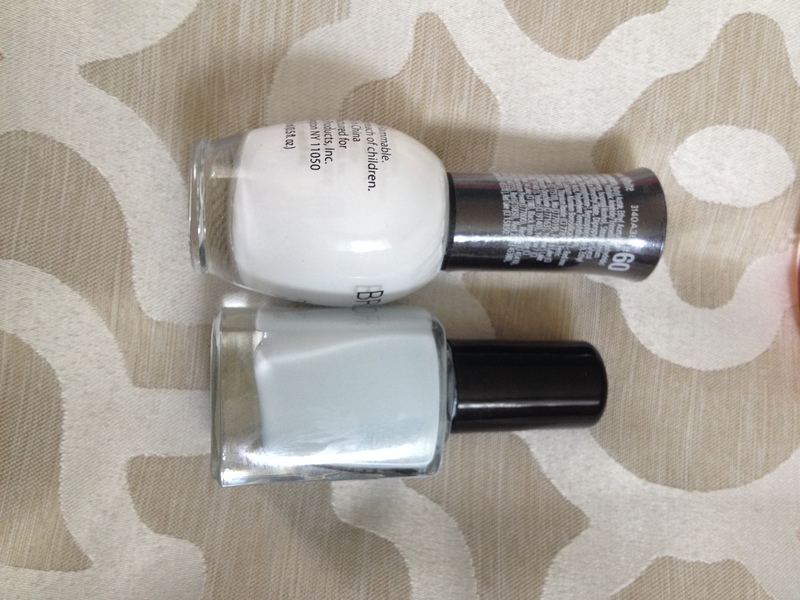 The second picture shows it on the right next to a white polish, just to prove that firefly isn’t actually white. Firefly’s formula is a little on the thick side, but it is a one coat polish, which is pretty amazing for a light polish! 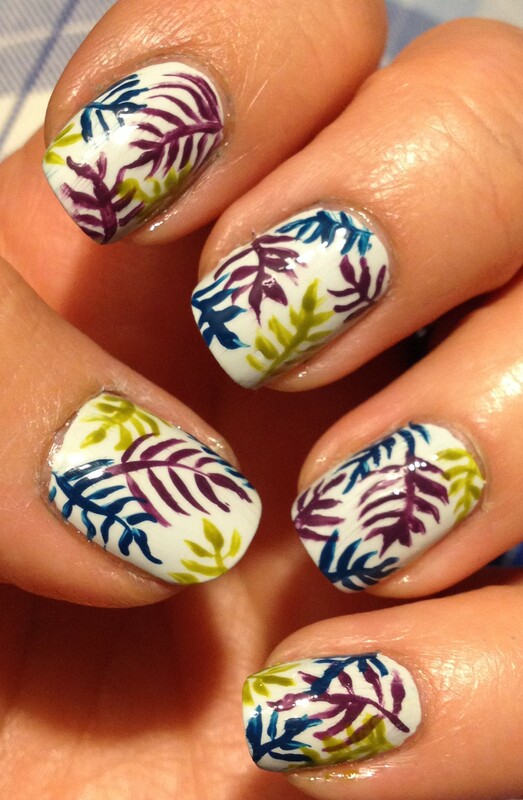 It’s a great color to us as a base for nail art if you don’t want to use a really stark white. I’m not sure how this color compares to OPI – My Boyfriend Scales Walls, but I think it might be close. So, those are my favorites for last month! I plan to dive head first into Christmas nail art next. ‘Tis the season!